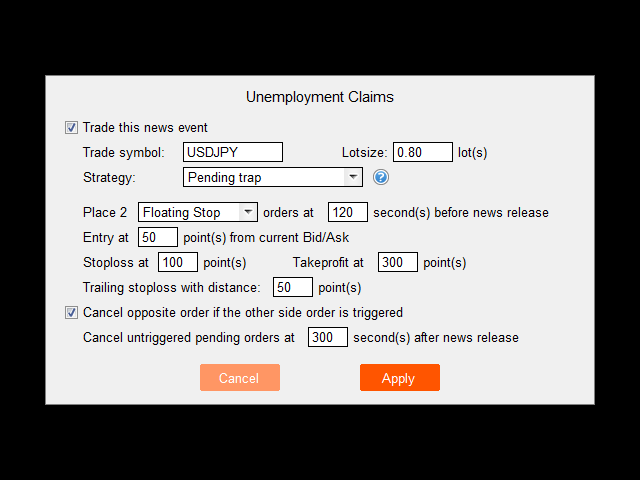 News Trader Pro is a unique robot that allows you to trade the news by your predefined strategy. It loads every piece of news from several popular Forex websites. 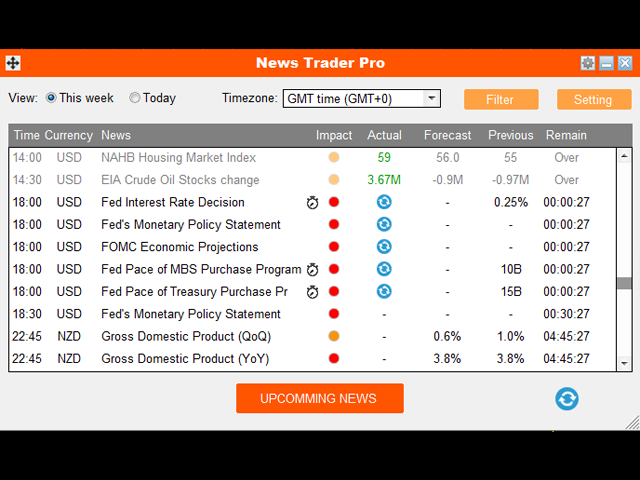 You can choose any news and preset the strategy to trade it, and then News Trader Pro will trade that news by selected strategy automatically when the news comes. News release gives opportunity to have pips since the price usually has big move at that time. 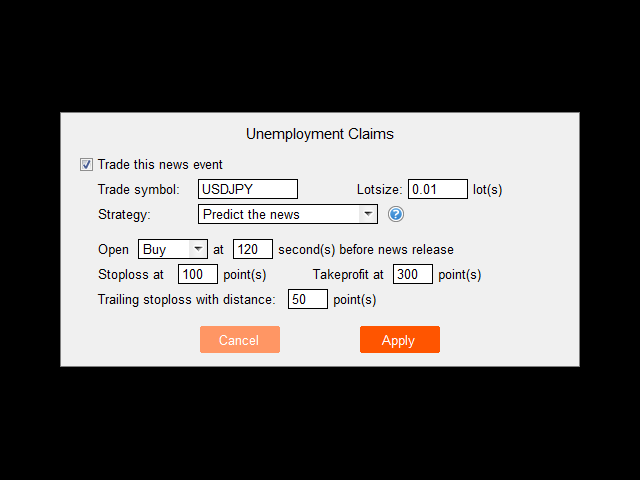 Now, with this tool, trading news becomes easier, more flexible and more exciting than ever. No waiting, no missing, no confusing anymore. Just setup for important news once a week, and this tool will trade all those news exactly as you planned. Contains all the features of News Loader Pro. Builds your own strategy for each piece of news with very flexible parameters. Supports five advanced strategies with a lot of control parameters (SL, TP, Trailing, Grid interval, Lotsize scale, etc.). Trade of each piece of news is operated independently and does not conflict with each other. Uses advance technology to minimize the price slippage at news release. 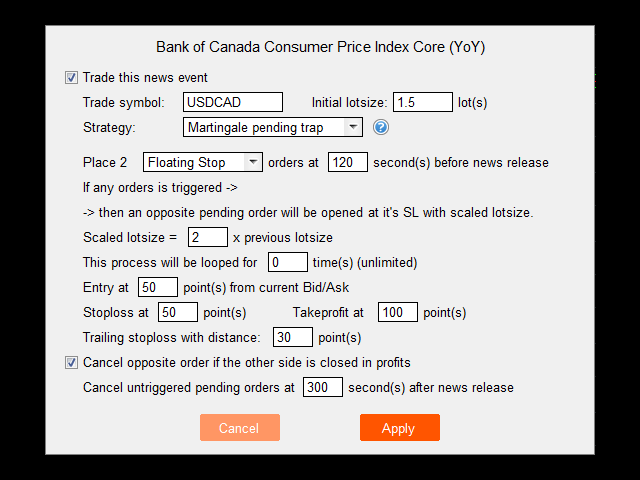 Trades all news with all symbols/pairs with only one attached chart, no need to attach the robot to every chart. 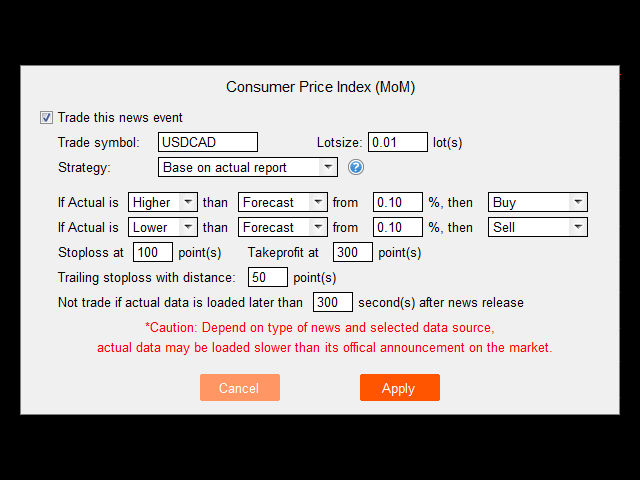 Allows adjustment and cancellation of the trading plan after setup. Straightforward description and illustration inside the tool, so that even an amateur can understand the strategies. Contains all the features of News Loader Pro (check it for details). 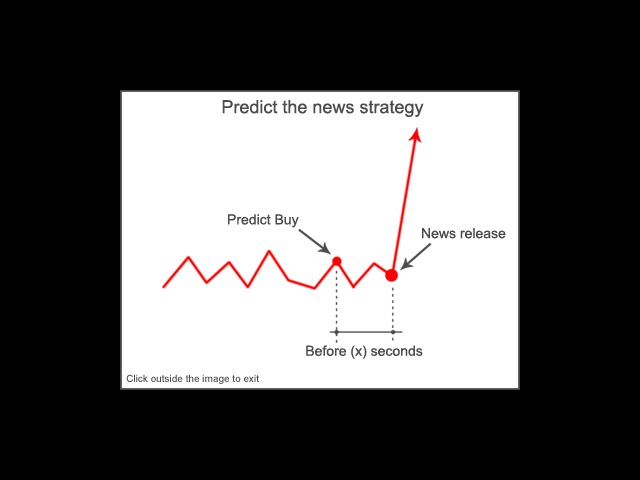 This strategy is very simple, just predict the market move direction after news release, then set it to open Buy or Sell order before news release. This method can maximize the profit and avoid slippage because order is opened when market is still silent, but it also can whipsaw your account if you choose the wrong direction in big news. This is for one who likes to take risk. This is typical strategy that places two opposite pending stop orders before news release to catch the breakout. Regardless of direction of the price move, we expect a large jump and it will trigger one of the pending orders. In some rare cases, some traders may want to use limit orders instead of stop ones, to catch the reversion of a price move. In this strategy, setting a reasonable SL, TP and trailing SL is critical. 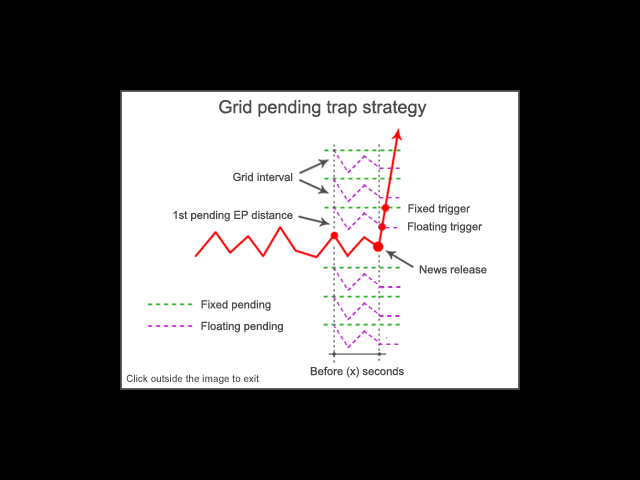 Similar to pending trap strategy, but grid pending trap strategy sets a series of pending orders (like a grid). This strategy catches the price move in smaller parts and sums them up in the final result. 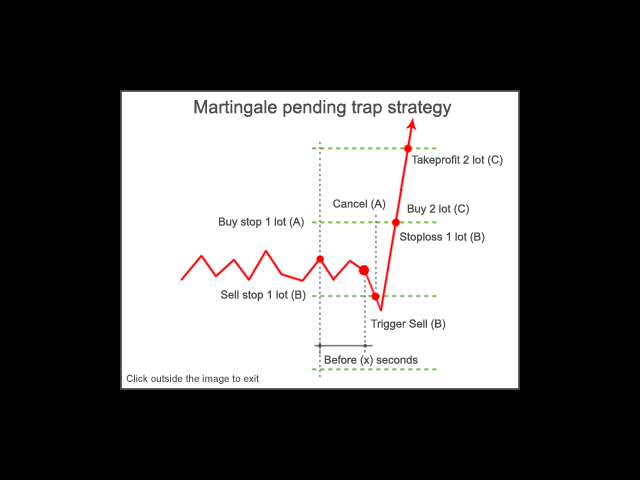 Also known as "Never lose again" strategy, martingale strategy uses lot size increase to cover its previous losses (if any). This is great when combining with news, when the price usually has big move. However, do not set the initial lot size too large since if there are spikes on the news, your account will be margin called before price moves in one direction. 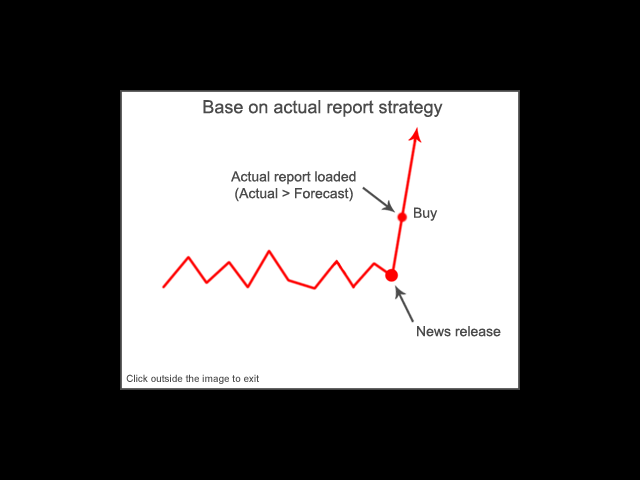 This strategy waits until the actual report of the news is loaded, then compare it to forecast/previous data in order to decide the direction of the trade. This strategy is suitable for important news that impact the market in mid to long-term. 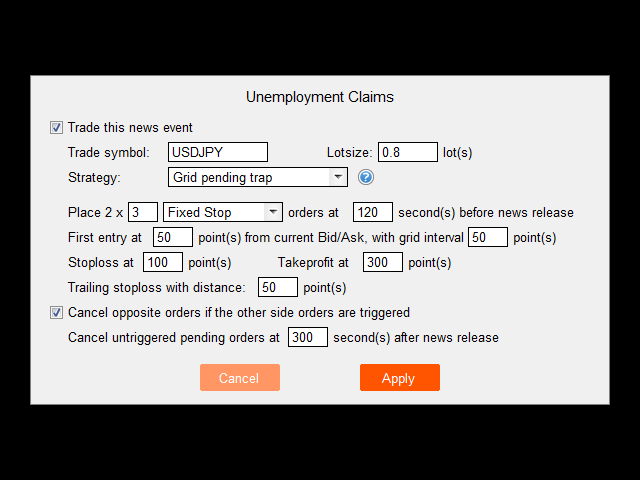 Fixed pending: Pending orders will stand constantly, but may be triggered at the wrong moment by price's fluctuation before news release. 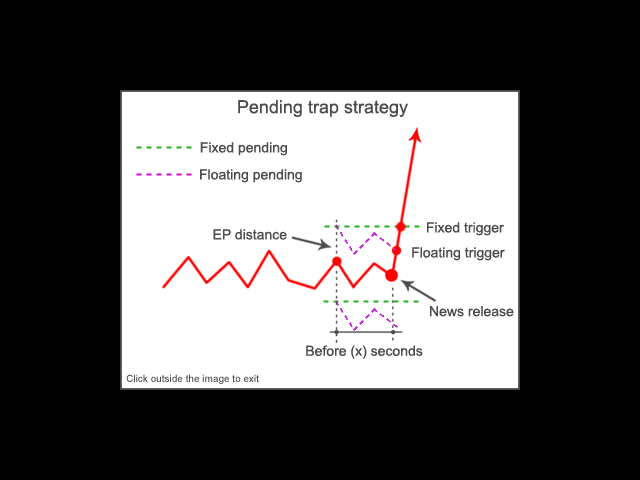 Floating pending: Pending orders will always keep a distance from the current Bid/Ask until news release, so they are usually triggered by news impact only. At some parameters, setting value by zero (0) means not set (SL, TP, Trailing, Cancel time) or unlimited (martingale loop times). Warning: News trading is risky, it depends a lot on your broker's order filling quality. This tool is not full-auto robot, it only trades on your custom strategy. You take the responsibility for the trading result made by your own setup strategy. - Fixed: Update based on Forexfactory data feed's URL changed. 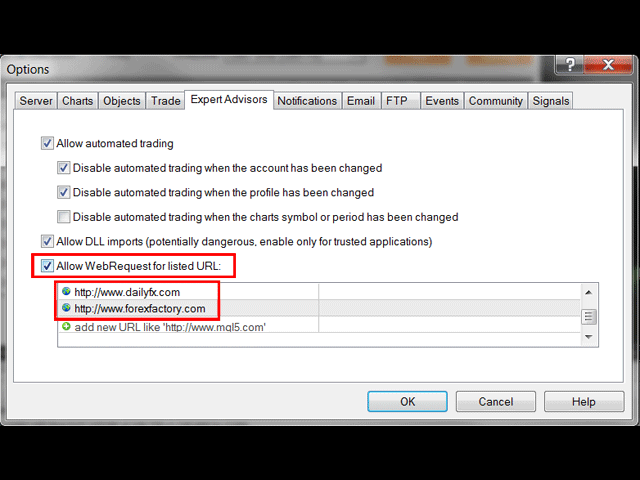 - Fixed: Adapt to new changes of Forexfactory.com data feed. - Fixed: Different news with same name show same actual data. - Improved: Remove some unnecessary functions in source code to make it run smoother. - Improved: Better reading news feed data. - Improved: Better reading data from ForexFactory. - Fixed: Correct actual data feed. - Improved: Auto-recognize GMT and Server timezone. - Improved: Increased start-up speed. - Fixed: Unexpected "array out of range" error. - Fixed: Minor bug about "out of array". - Added: More news description details.